PRICE JUST REDUCED !!! UNIQUE OPPORTUNITY! PREIS GERADE REDUZIERT!! Wir freuen uns, Ihnen diese voll ausgestattet Pearl 60 zum Kauf anbieten zu können. Diese Yacht haben wir an den aktuellen Eigner ausgeliefert und Sie befindet sich in einem perfekten Zustand mit einer umfassenden Service-Historie. Die einzige Pearl 60, welche mit einem blauen Rumpf gebaut wurde! Eine Inzahlungnahme ist möglich. Liegeplatz in Puerto Portals ebenso. 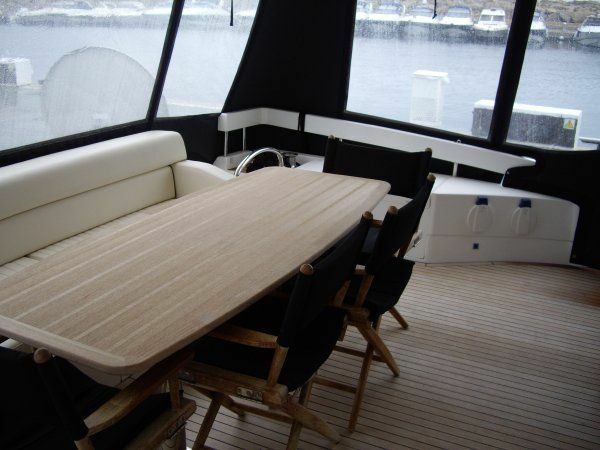 We at Baxter Marine are pleased to offer for sale this top specification Pearl 60. 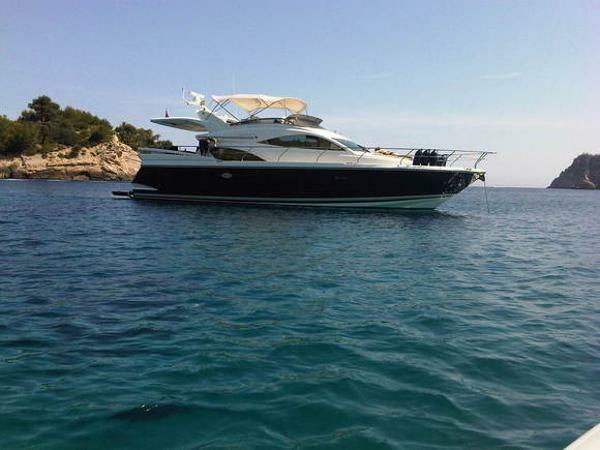 This vessel was supplied new to its present owner and is offered for sale in immaculate condition and a comprehensive service history. The hull is finished in ´Flag Blue´,which makes her the only blue hulled Pearl 60 ever built! 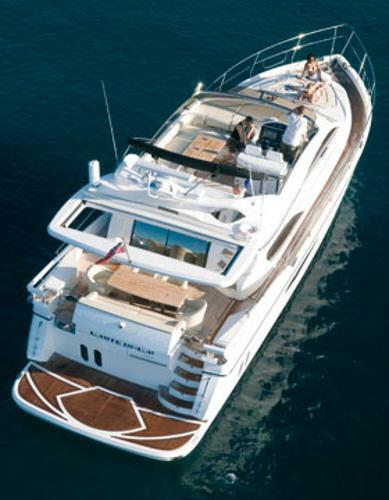 Interior finish: wood floors throughout, American Walnut satin finish cabinetry, Yachtmaster controller, vacuum system, double fridges in galley, Air conditioning throughout, ice maker, washer drier, bow & stern thrusters, Garmin Nav 4 screen/4 camera system, teak decks throughout. - Length 17.78m - Engine man. 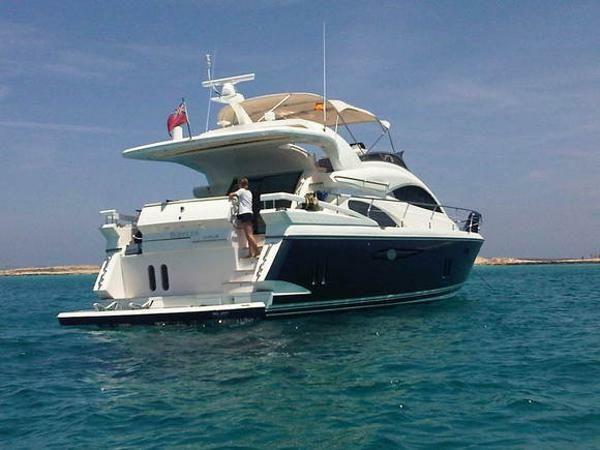 Volvo Penta D12 - No of Engines 2 - Fuel Type Diesel - Hull GRP - Beam (m) 4.98 - Draft (m) 1.53 - Number of berths 8 - Number of cabins 4 Meticulously maintained since new by experienced owners. All systems have been run on a regular basis. The generator have recently been services by main dealers. Fire and safety equipment have also been recently serviced. New anti-foul and anodes were fitted pre season for 2018, also new cutlass bearings. 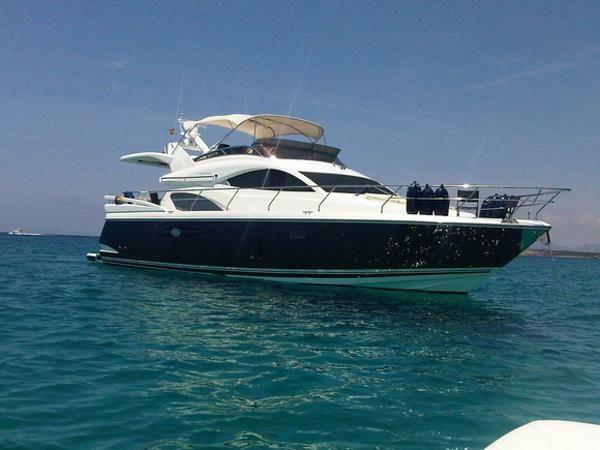 Full polish, hull and superstructure, engine gearbox and genny serviced. She still looks brand new and never fails to impress! Full new set for Gel batteries to boot! 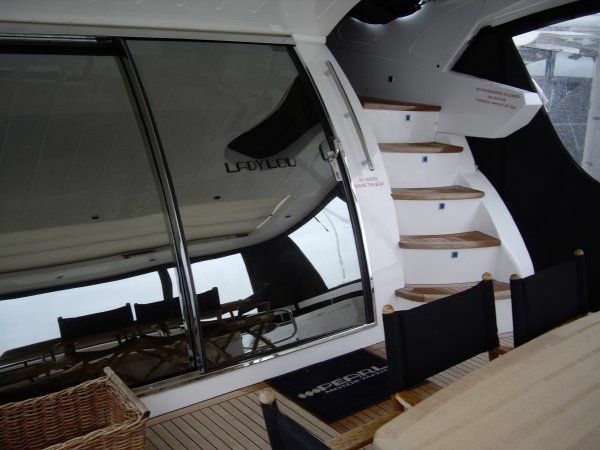 A beautiful, extremely spacious 4 cabin layout yacht with sunroof and hydraulic platform, electric sliding doors and much much more. A full time guardiannage team maintained yacht. Includes a 2014 Williams Turbo Jet 325 rib.